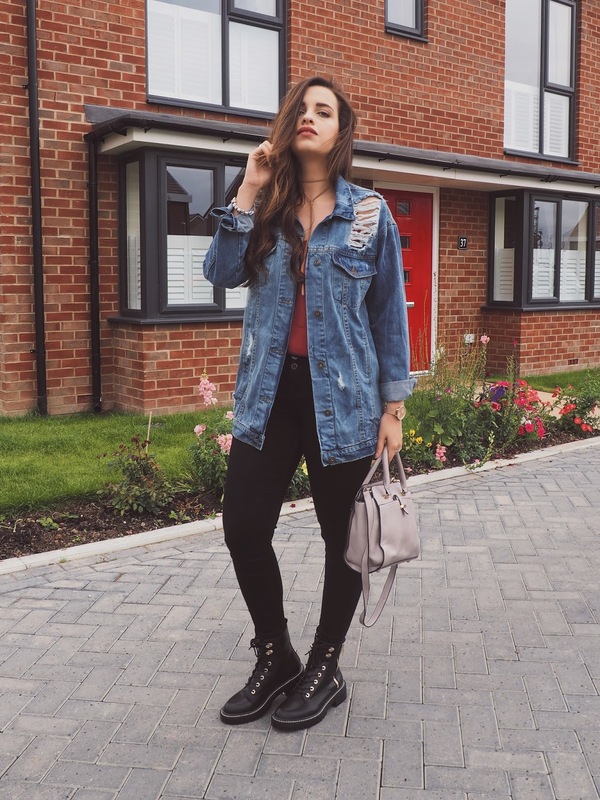 "Oversized denim jackets have that vintage feel to them as if you bought it two sizes too big or "borrowed" it from your other half." This season, fast-fashion chains have already been putting out enough oversized options for us all to turn up our level of cool as they're really the cool girl way to style a look. 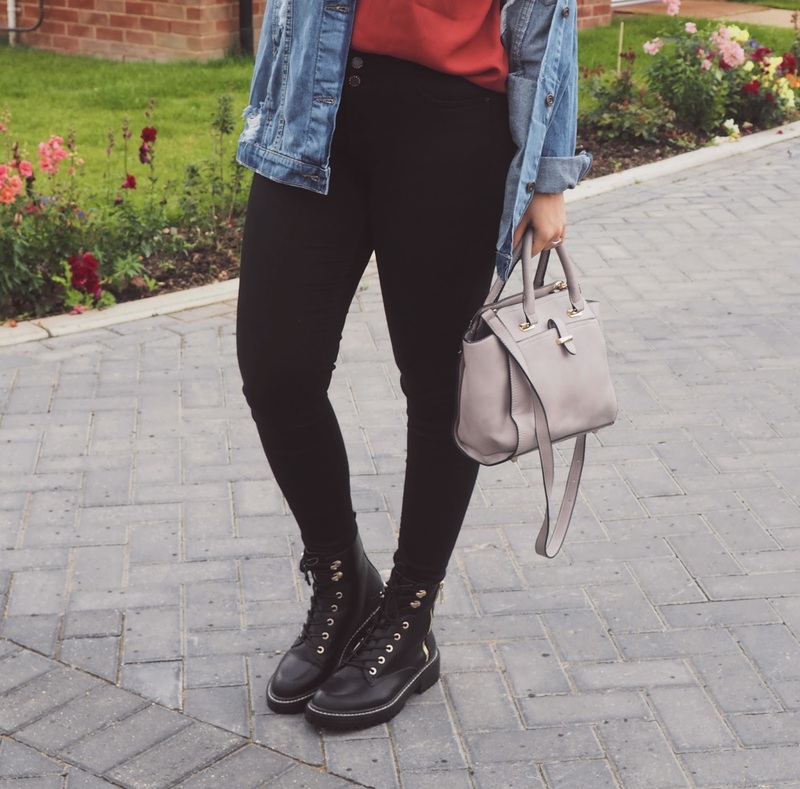 Ideal for out-of-hours, throwing an oversized number over any outfit will instantly make the look feel more relaxed, casual but still fabulous. The best thing about an oversized jacket is that you can easily get warmer with lots of layers. A big denim jacket looks great over a sweatshirt, a button down, a plaid shirt and a big comfy scarf to top it all off. Alternatively, wear it with a plain tee, skinny jeans, and heels for warmer autumn days or for a night out! One tip to keep in mind is to think of it as a knit cardigan or a sweater, and you will see how much more wearable it instantly becomes. Watch me throw this gorgeous jacket over anything this season! There were several designers, including Altuzarra and The Row, who chose to have their models in combat boots for the A/W 2017 catwalk shows and guess what, they are going to be huge this season! I featured a heeled pair a few posts back (check that out here) but this alternative is a lot more chunky and grunge, and I can't think of a better companion for those harsh wet winter days ahead. 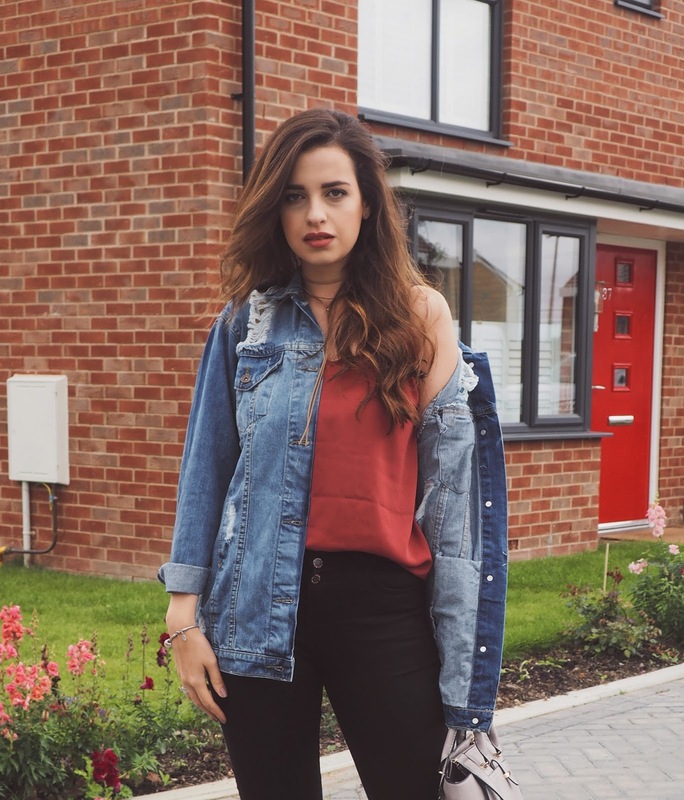 Do you own an oversized denim jacket? Thoughts on my new boots? Let me know below! Loving this look! I really want an oversized denim jacket for autumn and have been looking for one. Keeping my eyes peeled. Absolutely awesome outfit, nice combo as well, I love it. Thank you for sharing, you look stunning!!! Okay wow, I didn't even think that oversized denim jackets were a thing?! I have one that fits me well and i'm always struggling to layer with it because it has no stretch, lol. I love my doc martens - I feel like they're the og combat boot! I love my troopa ones from steve madden too, but I feel like docs certainly last a lot longer and they wear out nicely too (I've had mine for 7 years!). This jacket looks absolutely amazing on you!! 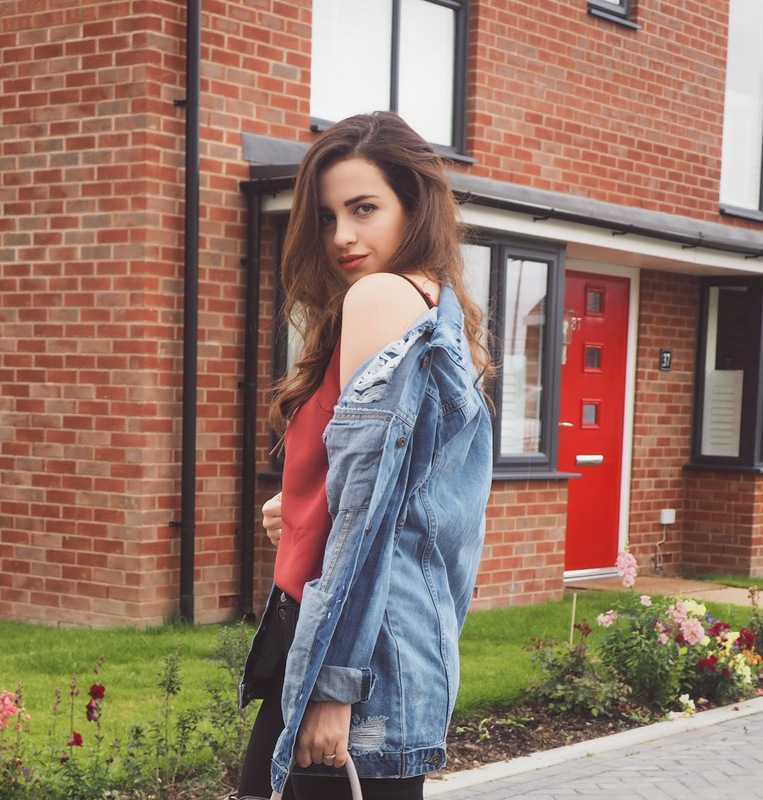 I never ever thought an oversized denim jacket would look this good! I am in search of a good blue denim jacket, the one I have is white and I need another colour. I love an oversized denim jacket, since I looove denim jackets anyway :) Yours look so lovely, you look so beautiful, always! I loved the outfit with denim and black! Such a nice way to enter autumn! O look está giro, mas eu confesso que nunca gostei muito desse tipo de casaco! Tão gira! Amei o look e as fotos! 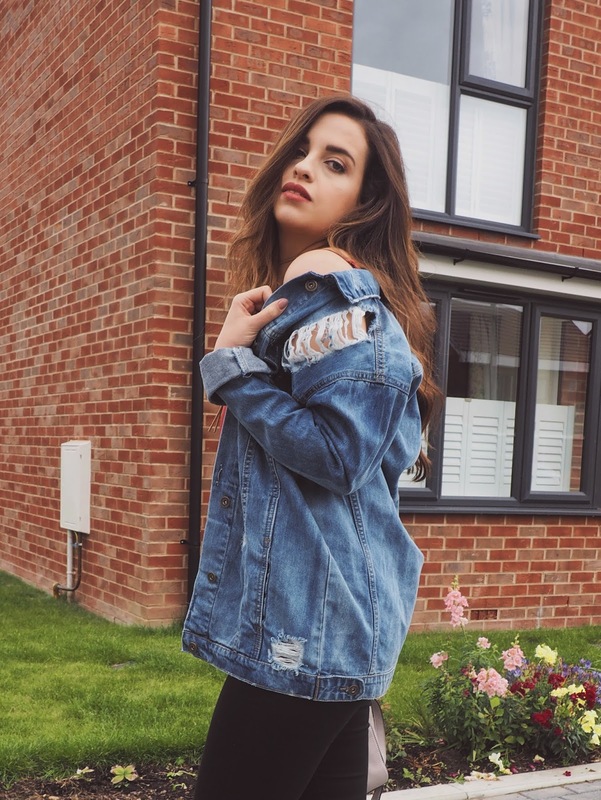 I'm obssesed with denim jackets at the moment! I have one that's the right kind of oversize for me (cause I'm petite hehe) and has the right amount of ripped details on it BUT I'm always checking new ones because as I said, I'm pretty much obsessed with them. This look makes you so badass and cool, but always with that girly style of yours. I love it! What a great jacket and pictures too! Thanks for the styling ideas Pam!! I always love oversized denim jacket. This jacket looks absolutely amazing on you babe! Mi piace molto questo look anni 90.
you look great so why not? Dear, you look so fab and pretty with your hair! You look gorgeous! 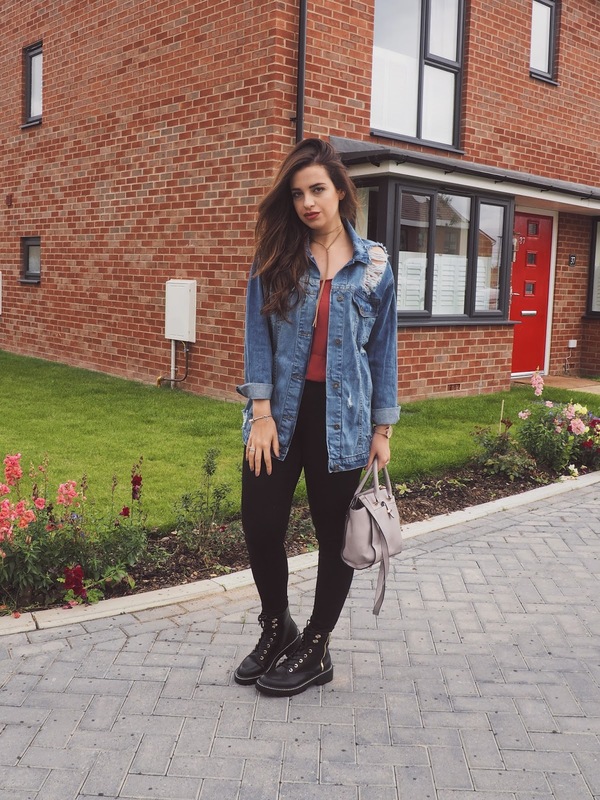 Love the boots and denim jacket!